Most foodies think that eclectic cuisine and culture is found only on the east or west coasts of the United States, but this is far from the case. Take Sioux Falls, South Dakota, for example. Named after the beautiful waterfalls in Falls Park, this city possesses a growing art scene, plenty of parks and greenways, and a rapidly growing economy. 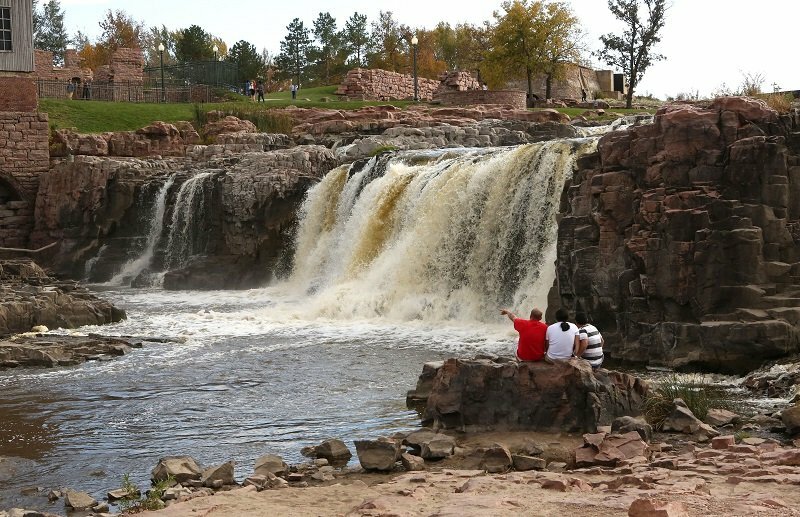 The inhabitants of Sioux Falls – there are over 150,000 of them with more coming every year – also enjoy a wonderful choice of dining establishments. As a matter of fact, Sioux Falls has over 650 restaurants. Yes, all of the major restaurant chains here, the same as you’ll find in most large cities. But there are many more locally-owned restaurants located around the city’s historic downtown area, so many that Sioux Falls has earned the accolade of being a flavortown. Water fall in the heart of the city. Have you ever heard of the television show Top Chef Just Desserts? If you have, you’ve probably heard of Chef Chris Hanmer, who defeated thirteen other pastry chefs to be named the winner of Season Two. Hanmer founded CH Patisserie on Phillips Avenue in the heart of downtown, and served “European-inspired confections” including his well-known neon-colored macaroons as well as eclairs and tarts, and perhaps most seductive of all, his Chocolate Dream; a little shiny dome of decadent chocolate deliciousness. Culinary Institute of America-trained chef Michael Haskett founded MB Haskett, where he whips up his own version of French-inspired cuisine. 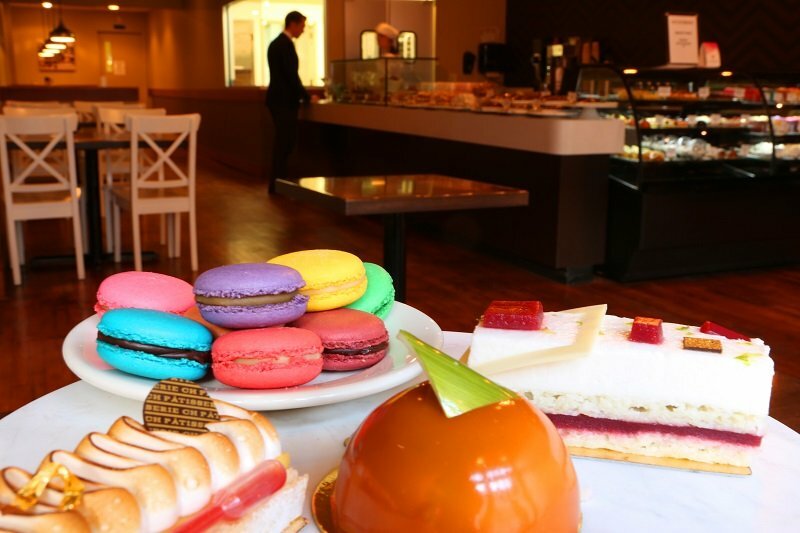 The restaurant was remodeled in 2014, but is still a rather small space, jam-packed with people ordering his savory crepes for breakfast, and a variety of sandwiches for lunch. You’ve never tasted gourmet bread until you’ve tasted the baguettes of Breadico Di Napolitano. Breadmaker David Napolitano uses a sourdough starter that is over 29 years old, as well as Olde-World preparation and baking methods which result in mouth-wateringly crunchy-on-the-outside and moist-on-the-inside breads which are, not surprisingly, purchased by many restaurants in the city who in turn serve them to their customers. 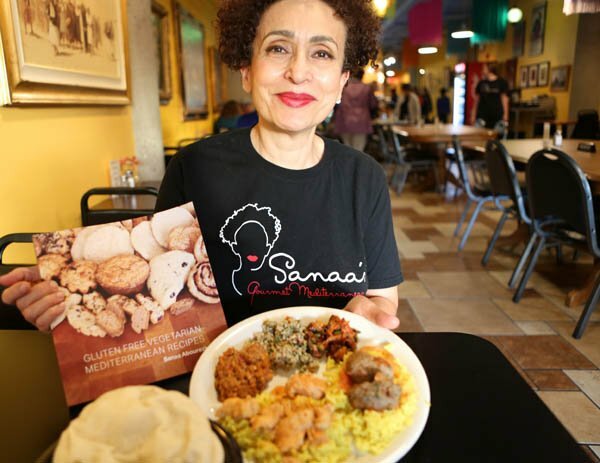 Sanaa Abourezk opened her restaurant Sanaa in the East Market arts hub at 8th and Railroad Center, where she serves unique and exotic flavors such as Rice and Polenta Kibbeh or Saffron Rice Pilaf. Mama Lada’s Enchiladas Shop & Wine Bar specializes in home-made beef or chicken enchiladas with plenty of cheese and lots of salsa. Beverages such as red or white sangrias, premium wines, and a variety of beers are also available. Rosie’s Cafe has been a Sioux Falls institution for over 30 years. There’s only 49 seats in this café which serves down-home cooking and offers friendly conversation. Dishes include meatloaf, turkey and stuffing, and liver and onions. Minerva’s Restaurant in downtown Sioux Falls offers eclectic American fare in a friendly atmosphere. Here you can find everything from aged steaks to seafood, pasta and a fully stocked salad bar. Parker’s Bistro flies in fresh seafood twice a week and also uses local, organic ingredients in its menu. In addition to seafood, Parker’s offers plenty of steak and poultry dishes. The Bros. Brasserie Americano serves food with a Creole flavor, such as Andouille and chicken gumbo, or New Orleans strip steak with pepper cream gravy. Another popular entrée in demand is their pork belly with creole maux choux, sweet potato gnocchi, and Dr. Pepper demi-glaze. B&G Milky Way drive-ins have several locations in Sioux Falls. Founded in 1954, this local chain offers hamburgers and hotdogs with all the trimmings, but are mostly known for their soft serve ice cream. Oh My Cupcakes! 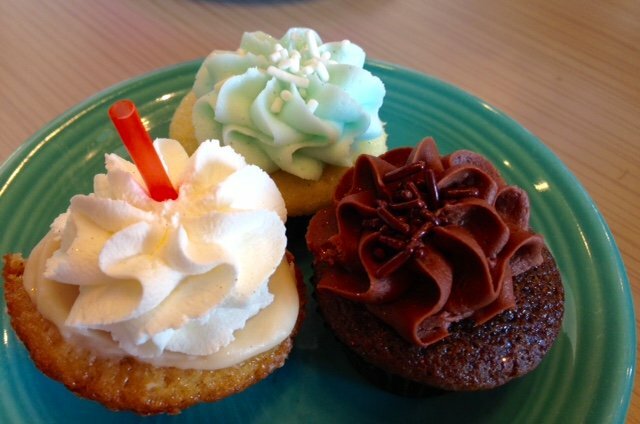 is a gourmet cupcake shop which has been featured in “Top 100 Cupcake Shops in America.” All cupcakes are made from scratch, and people flock in to try the unique flavors, such as stuffed French toast, lemon drop, and root beer float. So after you’ve toured the art and culture in Sioux Falls, such as the Washington Pavilion and the Sertoma Butterfly House and Marine Cove, or walked in one of the city’s many parks, find a unique restaurant and enjoy its deliciousness.